We have a large assortment of hardy and tropical Water Lillies available at our Davidsonville location. 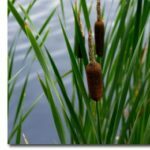 Please come by and select the plants that will make your pond or water garden beautiful. Some of the varieties we carry are: Colorado, Joey Tomacik, Clyde Ikins, Pink Grapefruit, Meteor, Attraction, Inner Light, Burgundy Princess, Helvola (Dwarf), Little Sure (Dwarf) and many more!! We have a large assortment of hardy and tropical Water Lillies available at our Davidsonville location. 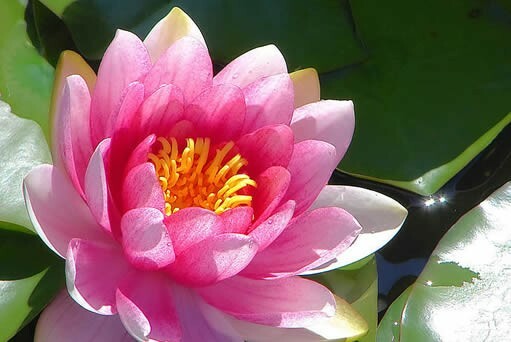 Please come by and select the plants that will make your pond or water garden beautiful. Some of the varieties we carry are: Colorado, Joey Tomacik, Clyde Ikins, Pink Grapefruit, Meteor, Attraction, Inner Light, Burgundy Princess, Helvola (Dwarf), Little Sure (Dwarf) and many more!! 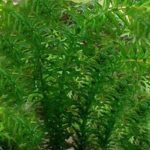 Add Oxegen to your pond by adding submersible plants (oxygenators) such as anacharis, hornwort or parrot's feather. We always have a wide selection of these pond essentials available. Come by our Davidsonville, MD location today and pick up some for your pond. 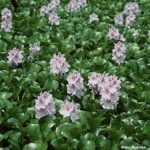 Floating plants, such as Water Hyacinths or Water Lettuce, are an essential part of every water garden. From April through September, you will always find plenty of these plants at our Davisdonville store. Come visit today and brighten up your pond. 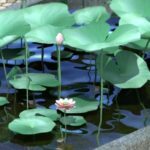 Adding a Water Lotus to your pond or water feature can be just the finishing touch you need. These gorgeous, large leaved blooming plants add texture and beauty to any pondscape. We carry a variety of Lotus' at our Davidsonville location. Stop by today and select yours!